Petite or Junior walkers are designed for those who are smaller in stature. For most people under 5’4”, these walkers have the advantages of full-sized walkers, but are used to carry less weight. They are built on a different scale, with the junior sizes meant for children or small adults, so the height adjustments are extremely important to consider when looking for a petite walker. 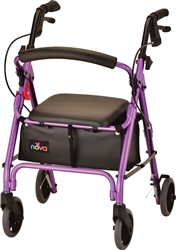 As with most other types of walkers, it is also important to consider the height of the patient as well as the usage, folding style, and wheels. 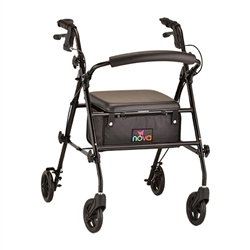 Carefully consider your needs and your planned use of the walker. There are any number of variables to consider, but whatever you need, We are here at 866-218-0902 to help find a petite walker that is perfect for you.